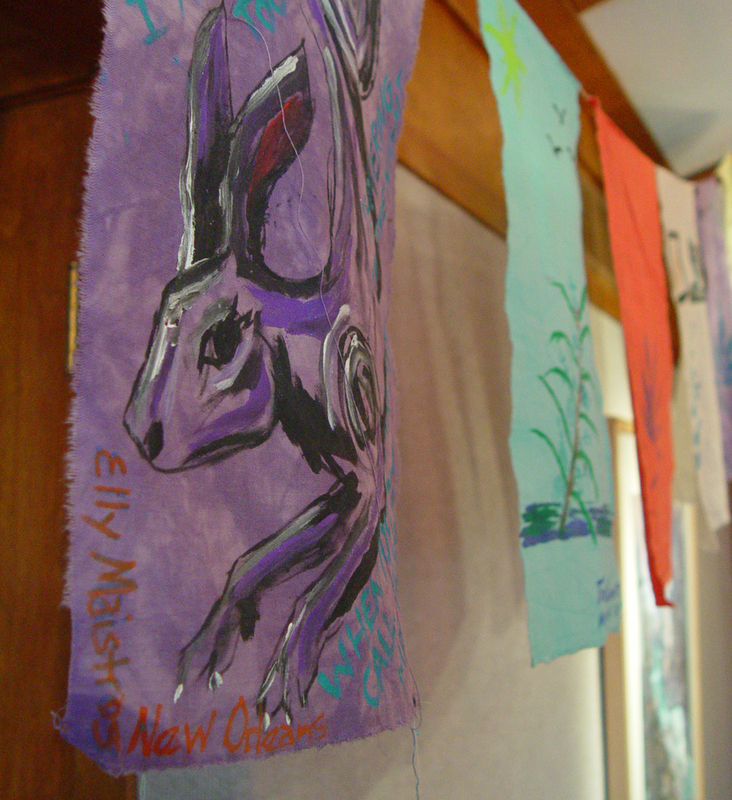 Kinship of Rivers is a five-year international river project that uses collective art, poetry, stories, music, dance and food to create a sense of kinship among the people and communities along both the Mississippi and Yangtze Rivers. 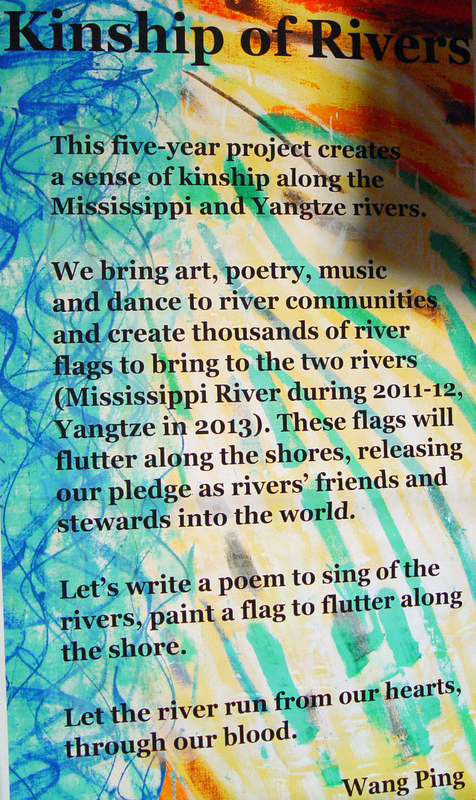 Throughout 2011 and 2012, poet, writer and artist Wang Ping has led a group of artists and volunteers to visit river communities of the Mississippi and its tributaries making over 1000 flags with poetry, stories, wishes and art, including prints of local plants at each locale. 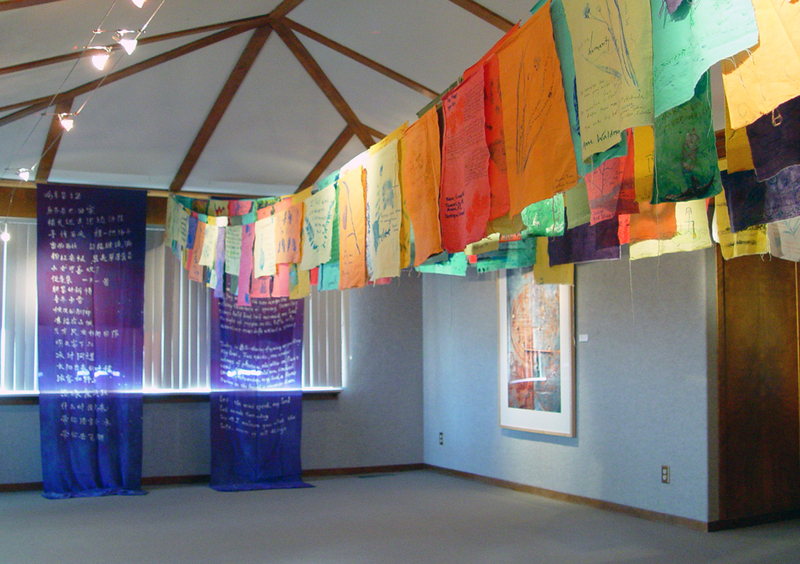 These flags, made by 1000 people from the communities visited, are presented as peace ambassadors, gathering people from different walks of life together in joy, creativity, and imagination. 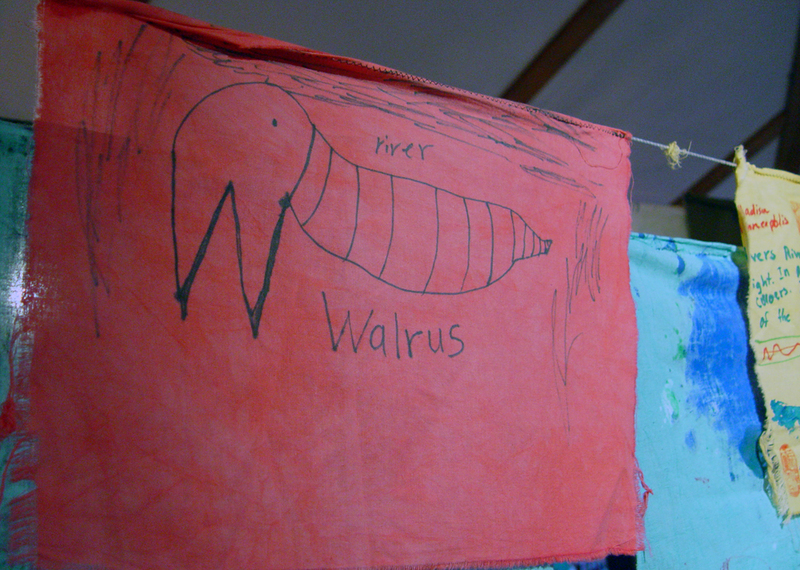 In 2013, the flags will travel to the Yangtze River where additional flags will be made as the project travel the Yangtze. 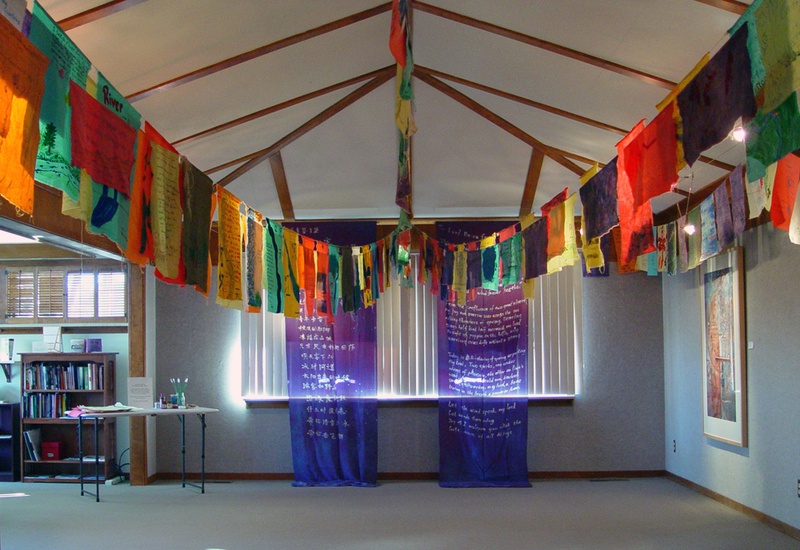 The project hopes to bring together the communities of two of the mightiest rivers on earth to spread wishes for clean water, land and air, and a peaceful world. The Yangtze and Mississippi Rivers share many things in common as the world’s third and fourth greatest rivers. Both rivers are rich with history and culture, inspiring poets, writers, artists and musicians for centuries. As the two rivers flow across continents, giving and taking on their way to the sea, they demonstrate that we are all connected.